When out hiking having the proper equipment is of utmost importance. The wilderness is very unforgiving and without equipping yourself with the proper equipment, you could run into problems very quickly. 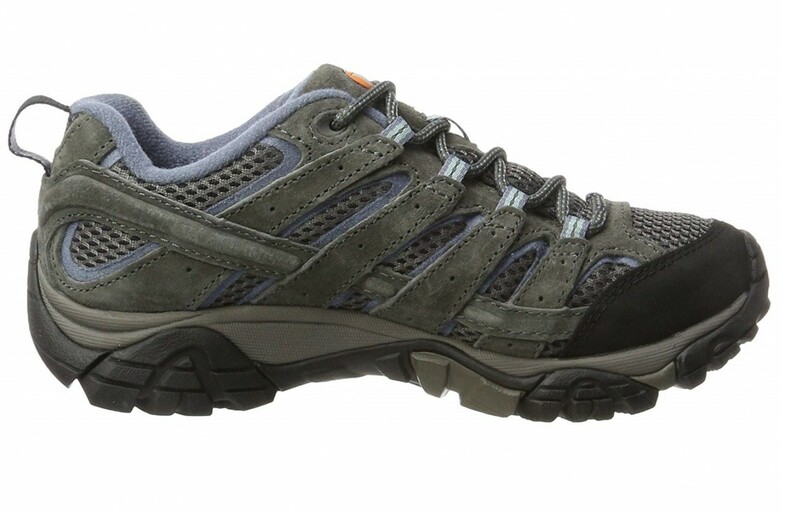 Without a comfortable hiking shoe, the trek can be extremely difficult or dangerous. Hiking shoes are designed to protect the feet and ankles of people who enjoy getting out and exploring the wilderness and rougher terrains. As a result of the terrains they are being used on, the durability of the shoe is usually a little better than average running shoes which are usually designed more to absorb impact. Like running shoes, hiking boots have some impact resistance but they are more focused on keeping the hiker balanced as well as protected when slipping or hitting against harder objects like rocks and tree trunks. It is extremely important for there to be some ankle support in hiking boots as well to help the hiker stay stabilized on rocky terrain. They usually have good support in the arch and heel in order to keep both in place so that blisters aren’t formed as easily. They also should be able to provide both warmth and breathability so that feet don’t get too cold or too sweaty. There are different types of hiking boots available on the market ranging from trail and mountain hiking variations. They are also designed for activities like backpacking, mountain climbing, and hunting if required. This review is on the Merrell Moab 2. This shoe comes in both men’s and women’s variations. They are classic in design, resembling a typical hiking shoe. They come in several colors depending on whether they are men’s or women’s. They are made of several materials but the aesthetic is suede. They are highly rated on the most popular websites and are inexpensive in price in comparison to similar products on the market. 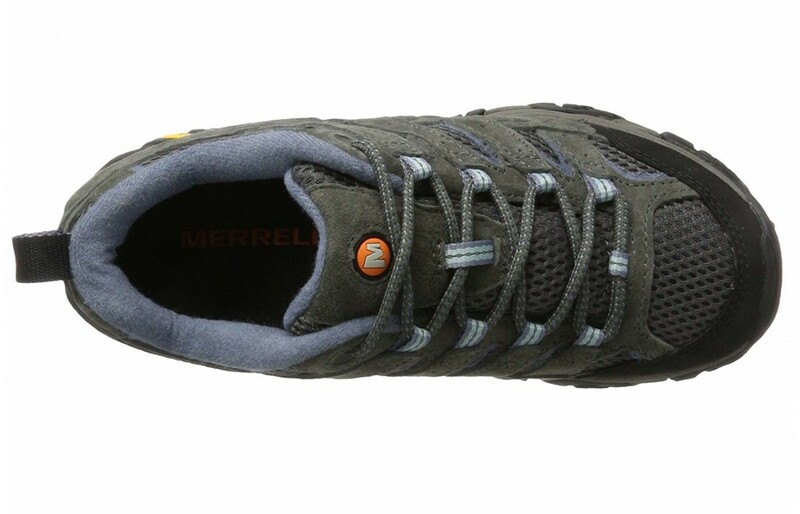 Merrell has been around since 1981 and has been known for producing high-performance hiking boots. They have a 3-day return policy and come with a 1-year warranty which should help the buyer feel more confident when purchasing this product. Below we discuss the features of the product and if it met the expectations of the buyers. This product has pronounced heel cups which help cup the heels and keep the shoe in place when walking even if they get sweaty. The benefit of a better fitting heel is less movement in the heel, especially noticeable when climbing over rocks or trees and during slides. 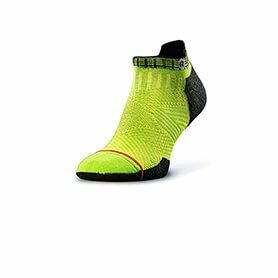 A cupped heel not only protects the climber from breaks and sprains but will also aid in the overall comfort. Reviewers confirmed that they are quite comfortable and can be used on longer hikes without causing any discomfort. There were far more reviewers complimenting their comfort than there were reviewers complaining about their discomfort. That said, there were a few reviewers that said that that the shoes were really stiff and need to be broken in before taking them to the trails. When they are really stiff it may cause blisters and calluses. This model is highly rated and reviewed, however, the older model and the newer model seem to have some mixed reviews. These are the consumers who bought the first version of this shoe but had issues with the second version of it. Those who had only bought the second pair seem to like this product with very little complaints. The comparison seems to be the biggest issue with the product. There have been some complaints that the sides of the shoes wear down faster than in the previous model, which again were those who had bought the first version. Reviewers said that initially, the sides are quite supportive but then they break down quite quickly with time. 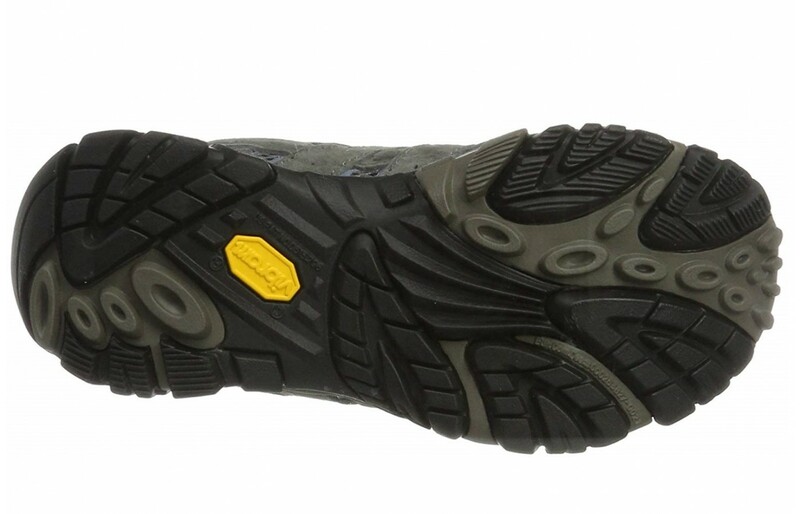 The materials used for this shoe are both EVA and Vibram, both are popular products in shoes. This is because they are both very strong and durable. The other common complaint was the stitching breaking down faster than the earlier version. The uppers and the lining of this product have mesh stitched in. This helps the shoe breathe and keep the feet dry, this is beneficial as it will decrease any odors as well as any blisters that may be caused as a result of sweaty feet. There weren't many reviews on the breathability of the shoes but there also weren't complaints that they didn't breathe. The mesh will definitely help keep feet dry because of the increased airflow. This will increase the longevity of the product as well as extend the length of a hike or climb. Mesh and puncture holes help with airflow and ventilation so these items are key to a quality product. The upper on this shoe is made of both breathable mesh and suede. The mesh will help the product breathe better which helps with odor control over time as mentioned above. This is also discussed earlier in the article. The suede is a type of leather that has a bit of stretch to it which helps in its durability. Suede will dry easily, however, can stain fairly easily. Staining won't affect the life of the product but more so affect the aesthetic of the product. This shouldn't be an issue as we discuss later in this article that the shoes themselves aren't quite fashionable and are definitely meant more for hiking than urban adventures. There weren't any complaints or compliments about the upper of this particular product. The toe on this product is rubber to help protect the hikers or climbers toes from rocks and trees. The midsole on this product is made of compressed-molded EVA. EVA is an extremely elastic and soft. It is typically used in replacement of rubber, it also smells better than rubber as it is odorless. This may be desirable for those with scent sensitivities. The midsoles also have injection-molded nylon arch shanks which would provide superior support that shouldn't cause any pain in normal arches. Some reviewers found the midsoles to be a little stiff and required breaking in. People with arch issues, higher or lower arches may have issues with these due to the midsole. There were quite a few comments about how well these stay dry even in water. They aren't actually labelled as waterproof on any website. Suede and mesh dry quite easily and the tongue on these help keep water out as well. This is described in more detail below. Many reviewers did say that their feet stayed nice and dry during their outdoor activities, even in areas of water and mud so that is a huge positive. Waterproofing is very important in hiking shoes and boots because this will ensure that the hikers feet will be kept dry during their outdoor adventures. If feet are hot, sweaty or wet then the hiker will experience blisters and form calluses which will be uncomfortable. This will also affect the shoe in that it will cause odor build up as well as faster breakdown of the shoe itself. Proper ventilation and waterproofing is key to a high-quality hiking shoe or boot. It is common in hiking boots for the product to be quite bulky or clunky. This is usually in cheaper shoes that are made of less advanced material like rubbers or spastics. The materials used for this product are extremely lightweight. The tongue is made of a lightweight foam, the foot bed and the midsoles are made of EVA which a lightweight rubber alternative. The primary weight of these are the rubber toe cap and the suede. Many reviewers commented about how lightweight they are as well. The weight of the shoes will help with leg fatigue and will help extend the length of the hike or climb. This was the primary complaint about these are that they aren't attractive. They do look like a basic hiking boot but there is nothing thin or sleek about them. They look a little clunky but are lightweight in design though. They probably aren't the most fashionable choice however they serve their purpose of being a hiking shoe. They probably won't serve as everyday shoes. They also won't look odd on the trails due to their traditional appearance. If appearance isn't an issue then this shoe does have some really great other benefits. The durability seems to be in question with these. There were far more positive comments about this product however the negative comments that did come up were that the product falls apart relatively easily. By fall apart they mean break down easier than the original product. The walls and the stitching also seems to be a popular complaint but, again, they were far and few between. The materials used for this product are fairly durable and innovative materials. They are also durable and elastic which should help the boot retain its shape. The toe cap is rubber which would help keep the product together for longer. The only item of concern is the stitching, with faulty stitching the materials won't matter because they won't stay together. The price is quite affordable compared to other products. The price is usually indicative of the quality. These sit in the middle between cheap and expensive which is usually a good sign. There wasn't any information on warranty information on the Merrell's website however they do have a 45 day return policy. That said, the shoes have to be unworn which is not really helpful as finding faults are usually found when in use. The price is right though and there are numerous positive reviews so this shouldn't be a concern. This affected our overall rating of the product. There isn't much information on any websites about the traction (as in materials used or some sort of innovative technology used for it). The reviewers said numerous times that the tract is really good even in dirt, dust and water. Traction is important especially when hiking and climbing. This is because it helps keep the climber safe during their treks. Climbing and hiking can sometimes experience loose rocks that will cause the hiker to slip. Having good traction will make all the difference and it sounds like these have a decent grip. The tongue on this product is made of closed cell foam. The material of the product and the thickness of the tongue helps keep moisture and debris out of the shoe. This will keep feet dry, avoid blisters and prolong the life of the product. This is also nice because foam is quite light and will not add any additional weight to the product. The insole of this product is made of an organic anti-bacterial material. This is fairly unique in hiking boots and will be helpful in the long term. This is particularly attractive to those who wear these with bare feet or have existing bacterial problems with their feet. For everyone else, this will help keep odors down in general and will prolong the life of the product. This product seems to have far more positive reviews than negative ones. They are unique in that they have antibacterial insoles which will help prolong the life of the product as well as aid in warding off those unpleasant smells that live in athletic footwear. They aren't terribly attractive in appearance, so that may be a deal breaker for the more fashionable customers out there. But what these shos lack in aesthetics they make up for in price. There isn't much listed about the waterproofing on the shoe, however, there were several positive reviews about both how dry wearers feet felt and the good breathability found in this product. The one concern is the return policy and the warranty information which seems to be pretty poor. Outside of that, the comfort is there and they are a good price. 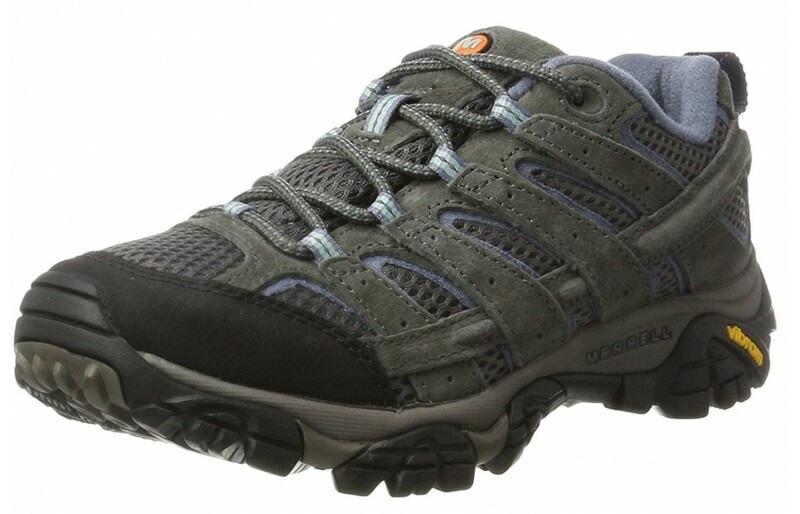 If you're not concerned about appearance and just want a good quality hiking shoe, these may be the ones for you.